There is a lot of controversy when the subject of wearing a neck brace is brought up. Many people have have "heard stories" about how a neck brace will just break your collarbone, about how you can't look up or down a hill, about how they will break your upper back. Well, let me tell you - you should always be wearing a neck brace. 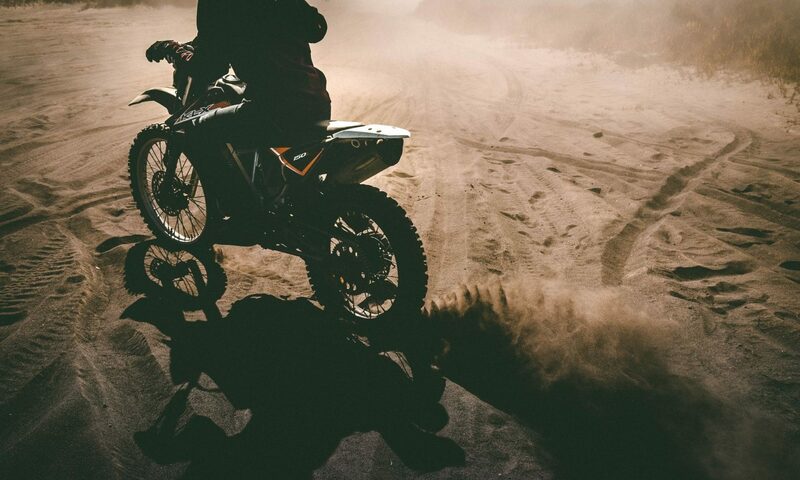 A recent study conducted by Action Sports EMS which is an ambulance service that caters to the amateur motocross industry has published it's statistical findings about injuries related to riders while wearing, and not wearing a neck brace. Read below for more details. 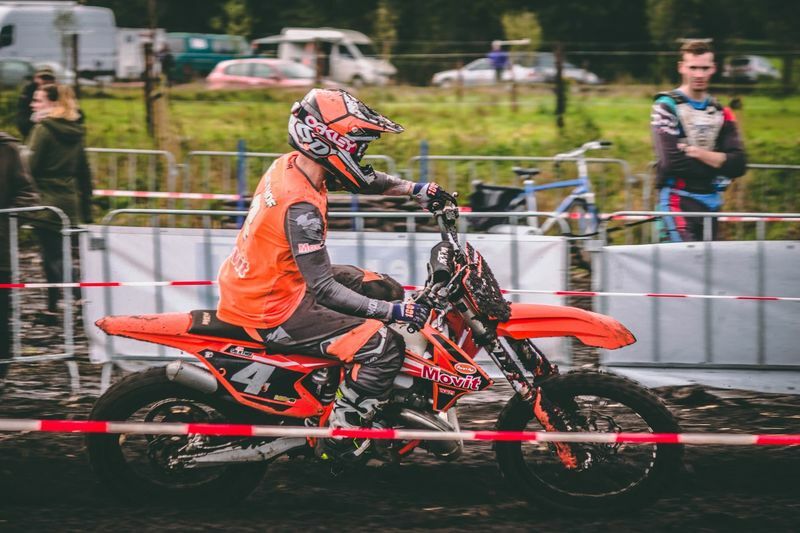 Neck braces are designed to take away some of the forces from the riders head in the riders neck in the event of a crash and disperse them throughout the neck brace itself and also into the bigger more muscular parts of the riders body. 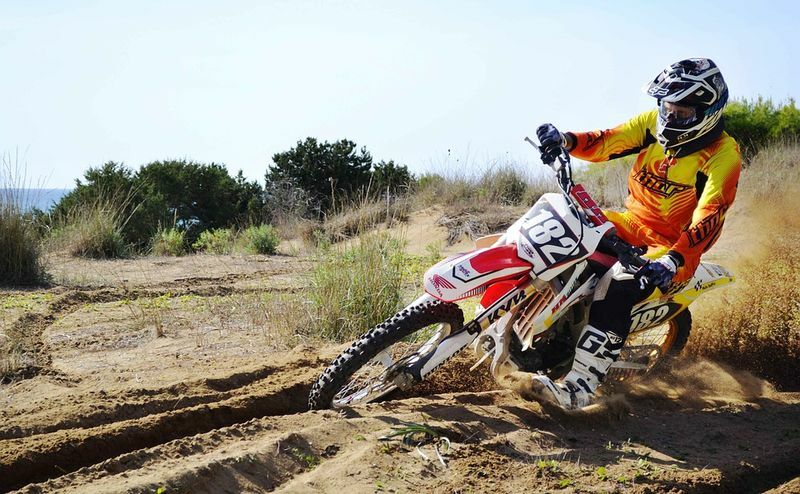 Now in the list below we've checked out some of the best motocross neck braces on the market and given you our honest feedback to help you choose the right one. In all honesty, these are all really great options, and I don't think you could go to wrong with any one of them, so pick the one that fits your needs best. Should I Wear A Motocross Neck Brace Debate - Do They Work? There are now real world statistics proving the motocross neck braces do in fact work. Great Lakes EMS is an ambulance service that caters to the amateur motorsports world. More specifically motocross, and racing in USA. 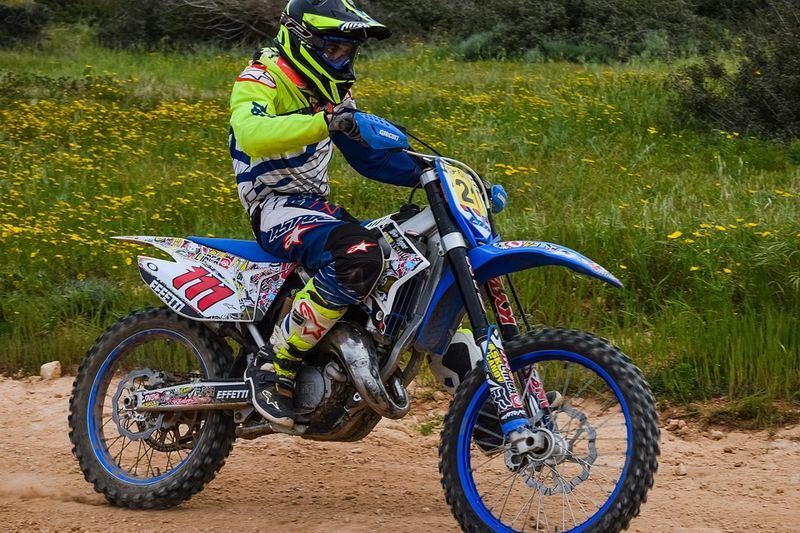 The study of rider injuries and safety gear has been their focus since 2013, since then they have gathered 10 years of data to share with the motorsports industry. The following information is their report on the study of motocross neck brace effectiveness. You can view the full report here. Riders need to be educated about what a neck brace can and can't do. Many of the principle's from the points above can be said for seat belts and air bag's many years ago. Great Lakes EMS have set out to disprove many of these myths and have done an outstanding job doing so. The results shared through their studied have shown that manufacturers of neck braces have indeed made Motorsport more safe and are providing the intended results - as they had claimed many years back. The data collected in the study spans over a period of nearly 10 years (from 2009 until 2018) and includes 9430 patients. Of these patients, 8529 fall into the criteria of wearing (or not wearing) a neck brace, along with Cervical Spine and/or Clavicle injuries, and/or deaths. The remaining subjects were studied prior to the brace or no brace question was implemented - in these cases, subjects were excluded from the study. Data in this study has been collected from January 2009 to October 2018, (nearly 10 years) and includes 9430 total patients, 8529 of which fall into the criteria pertaining to wearing (or not wearing) a neck brace, along with Cervical Spine and/or Clavicle injuries, and/or deaths recorded during this time. The other 901 pre-date the “Yes brace or No brace” question, so data from these instances was excluded. Out of the 8529 recorded patients, 4726 of them were marked as not wearing a brace during the time or place of injury. The remaining 3803 were all wearing a neck brace during during the time of injury. FYI - for all of you that are not statisticians, this is a very robust sample size for both the "YES" and "NO" subjects. Below are the astonishing results. 1. A Critical Cervical Spine Injury is 89% More Likely Without a Neck Brace. Over the course of the 10 year study, there were 239 recorded cases of Critical Cervical Spine injuries without a neck brace, and 26 with a neck brace. 2. Death is 69%+* More Likely (Due to Cervical Spine Injury) Without a Neck Brace. Over the course of the 10 year study, there were 4 recorded cases of death caused by Critical Cervical Spine injuries without a neck brace, and just 1 with a neck brace. *It should be noted that the patient who experienced death with the neck brace had a full Cervical Spine Fusion from a previous injury, and received a blunt force (part of the motorcycle) directly to the back of the neck. Since the injury falls into our report criteria the accident is included in this report, but the circumstances are worth mentioning. 3. A Non-Critical Cervical Spine Injury is 75% More Likely Without a Neck Brace. Over the course of the 10 year study, there were 702 recorded cases of Non-Critical Cervical Spine injuries without a neck brace, and just 109 with a neck brace. 4. A Clavicle (Collarbone) Fracture is 45% More Likely Without a Neck Brace. Over the course of the 10 year study, there were 443 recorded Clavicle fractures without a neck brace, and 291 with a neck brace. 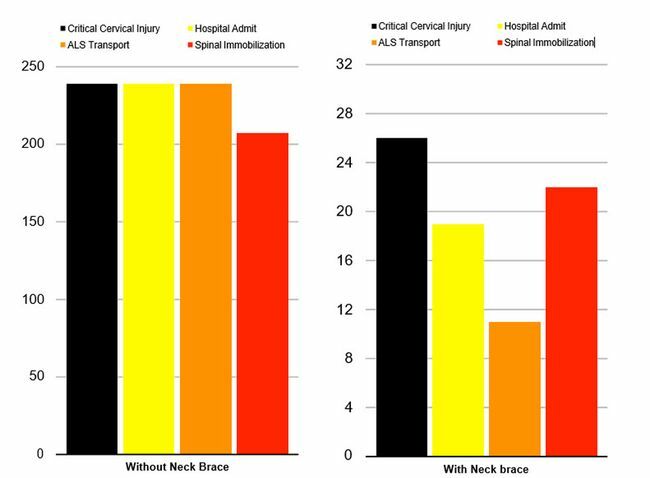 As shown in the left above, of the 239 Critical Cervical Spine injuries without a neck brace (Shown in black), 100% (239) of them required a hospital admit (Yellow) and ALS transport (Orange), compared to just 73%, and 42% for neck brace wearers respectively (Right chart, same colors). Of the 239 Critical Cervical Spine injuries without a neck brace, 87% (207) received Spinal Immobilization(Red), where as of the 26 Critical Cervical Spine injuries with a neck brace, 76% (22) were immobilized. 6. A Cervical Spine Injury of Any Kind is 82% More Likely Without a Neck Brace. Over the course of the 10 year study, combining all critical and non critical Cervical Spine injuries, 945 injuries were recorded without a neck brace (20% of 4726 people), and 136 with a neck brace (3.5% of 3803 people). First thing to consider when looking for a neck brace is the fitment. A Neck brace will only be able to do it's job if the fit is right. You want to have as much contact between the neck protector with the body, as well as the helmet. 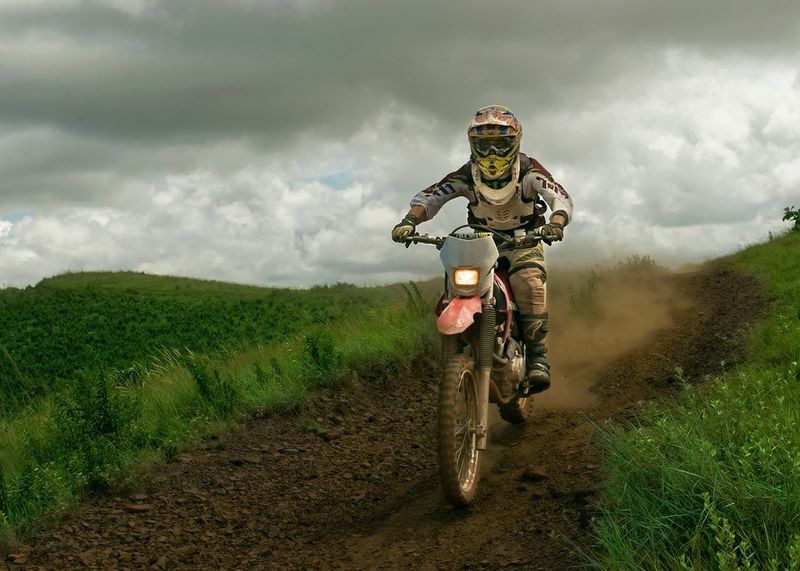 The helmet should not sit too high above the neck protector, other wise, in the case of a crash or an impact, the helmet will still have a large distance to move, before it starts to be supported by the brace. Next you want to be sure that the brace has some adjustable features. This aspect actually ties into fitment above. To achieve optimal fit, you need to be able to adjust the brace according to your body size. Some neck protectors offer back support that is able to move as your body moves. The back support should ideally be able to break off if there is a big impact, preventing a large amount of force being displaced to your upper back and spine. You also want to look out for adjustable features on the front of the brace where the brace fits underneath your chest protector, or roost guard. If this area is too lose, the neck protector will slip out from underneath the chest protector. You also want to look for adjust shoulder pad's that will enable to raise or lower the neck guard until it fits properly across your shoulders and underneath your helmet. A lot of riders complain about the comfort when wearing a neck guard. In my opinion, comfort is a small price to pay when your head/neck is on the line. To help with comfort, you can look for a neck guard that comes in at a lower weight which will minimize any irritability during your ride. Off the bat couple of features that we like about the EVS R4 Koroyd is the weight, it comes in at one pound! One of the lightest neck braces available. The price point is gonna be well under the $200 mark so compared to the other neck braces in our lineup, this is by far going to be the most affordable. Now this neck protector is very light weight. The way that EVS keep the weight down is pretty unique. You can see you've got this red material on the white one and green material on the black one which is called Koroyd. So Koroyd is a unique material that's actually 95% air. they're laser welded tubes so they keep whatever it is very lightweight that they're used in but they also do an incredible job of absorbing impact and energy so it's a cool material that they're utilizing inside here. The neck brace opens and closes with a velcro strap underneath the bottom and a small button tab on the front. Pressing on that that allows it to come apart. Now in the back you've got your thoracic strut which is the vertical shaft which allows for a little bit of adjustability. By adjusting that you actually change the angle of the back support so it's very important. Like I said, fitment is crucial so make sure that with any neck brace you get, mess around with the adjustability that you're getting to ensure that you do get the best fit possible. So this neck brace is super lightweight and comes in at a very affordable price point. My only nitpick with the R4 neck brace is with the sizing. This neck brace is built to fit a wide variety of body types, so it fits anywhere over 105 pounds and five foot three and over, is what this is designed to fit. So it's a pretty general, pretty broad spectrum of sizing. So in my opinion you're just not gonna be able to get as much of a customized fit as you are with some of the other neck braces you're not gonna have as much adjustability with the r4k. But this is where you need to weigh up the options of price vs adjustability. Second up we've got the Atlas Air neck brace. Atlas got to started making neck braces back in 2009 and a rider that for me stands out the most when it comes to this neck brace is Ryan Villopoto. He's been wearing these for years and he was actually one of the riders that helped test and develop this neck brace. With the Atlas Air right off the line, just like with that EVS it's very lightweight - size large comes in at 1.1 pounds. It's also low-profile, another one of these neck braces where you put on very minimal and that's actually something that Atlas was going for when they made this neck brace. They kind of had that saying, "less is more" and I think they did a great job with this brace. A couple of features about this that I really like. If you look at the rear back supports you actually have these smart mounts. With these you have six different mounting positions to change the angle of these back support which do a great job of allowing the rider to fine-tune this neck brace. I also really like that with these you can see in the back they have what the call Split Flex Frame Technology which actually allows the neck brace to work its way up and down separately on either side of the riders back, so that way as the rider is wearing it, as he's moving on the bike this allows the brace to work with the rider. We mentioned earlier, you want to have as much contact with the riders body as possible. So I really like that that's allowing these back supports to stay in contact with the body. A big claim that Atlas makes with their brace is that even though it might not look like it, they say that it actually has up to 27% more contact with the riders body than the other neck brace. That's a big claim but 27% more means it's gonna do its job even better. Going along with those adjustable back supports you actually do have an extra set of pads that come included. These pad's actually mount underneath the brace above the shoulders if you so if want to adjust the height of the neck brace you can do that as well. To open and close, you've got a button right underneath in the front so you press on that and that allows it to open and it closes right back up. last thing I want to point out is with these chest mounts on the front, what I like is that they actually do have some give to them. So they actually act more like suspension for the neck brace itself. That is the Atlas Air, designed and developed pro rider, Ryan Villopoto. 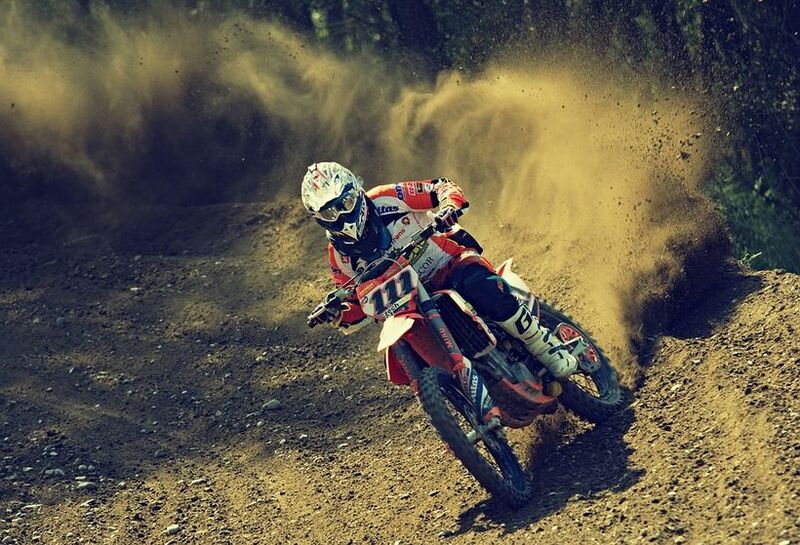 The BNS Tech 2 is designed for use in motocross and off-road riding and offers a highly personalized and stable fit. Next up we've got the BNS Tech 2 coming from Alpinestars. We've seen the BNS version 1 from Alpinestars for many years and it was a great neck brace and very popular and worn by the likes of Justin Barcia. You've seen him rocking that neck brace for a while now, but then in late 2018 they came out the Tech 2. It looks very similar but they've just refined a couple things to make it a little bit lighter and have a better interface with the riders helmet. It comes in at 1.7 pounds in a size large so it is gonna be a little bit heavier than the Atlas Air or even that EVS that we just looked at. But there are some features about this that we really like. The first thing is with the open and closure system. This is personally my favorite system that there is with any neck brace. It's very easy to operate. You have a pull tab in the front which simply allows you to open and close it very easily. There is a magnet in there as well so you notice that as you close it, when it gets close it literally just kind of locks itself in place. So very easy to operate it. I'm a big fan of the thoracic strut in the rear. A couple features I like here are the pivot system in the back which actually allows us to move side-to-side. Just like with that Atlas Air and that Split Flex Frame, same concept, you're just allowing the back support to move with the riders body and to keep that contact. Also what I like about this thoracic strut is that you've got these supports on the back which are designed to break away if enough force is applied. This is a safety feature that I like in a neck brace. A little bonus if you want to dismantle the neck brace for easy storage you can actually just pop of the back gaurds. Now with the BNS you are gonna have some good adjustability with what they call it their size adapter system. It has these extra plates that will come included in the box which will just replace the plates that come with the neck brace. Now I'm glad that they're giving you adjustability however my opinion to adjust these plates or acutely swap them out does take a little bit more work than the other neck braces in the lineup. So you're getting that ajustability but it's just a little bit more work to do so. But overall I'm a big fan of neck brace and again I really like that open and closure system. Next we've got two neck brace offerings from Leatt. A fun fact about Leatt is they were the first company to design a motorcycle specific neck brace. The two braces that we are going to look at are the 3.5 and the 5.5. I will say that of all the neck braces in the list, I enjoy the fitment of these two the most. I think Leatt did a really good job with the fit with the chest supports and the way the thoracic strut works. It just gives a nice snug fit to my body so I'm a big fan. The Leatt 3.5 neck brace is gonna be the budget-friendly option coming from Leatt. Aside from the price point and the fitment, some other features that I really like about this is the weight. The Leatt 3.5 neck protector comes in at one pound exactly. Which means it is the lightest neck brace that we have in our lineup. The closure system is also really simple - you've got a red tab up in the front that you're just gonna press on that that allows you to open and close - it very easy. With the thoracic strut, just like what the Alpinestars, what I like is that this is designed to break off if enough force is applied. You are gonna have some adjustability with this neck gaurd as well. You you have two red tabs one on each side, if you pull those out you have two different mounting positions for that thoracic strut to get that fine-tuned fitment. So that's the 3.5, very lightweight and budget-friendly, but what you are sacrificing is you're not going to have as much adjustability as you're going to get with the 5.5 as you will see below. The GPX 5.5 neck brace is the premium offering coming from Leatt. If your fan of Marvin Musquin this is the neckbrace he's been wearing for years. There's a couple of features I want to highlight that I really like about this brace. First the way you open and close it is real simple. There's a tab underneath on the right side. If you press on that, that allows it to open and close. This neck protector is actually a side entrance versus in the front like we see on the other braces. What I really like is that on the left side you got this red screw. 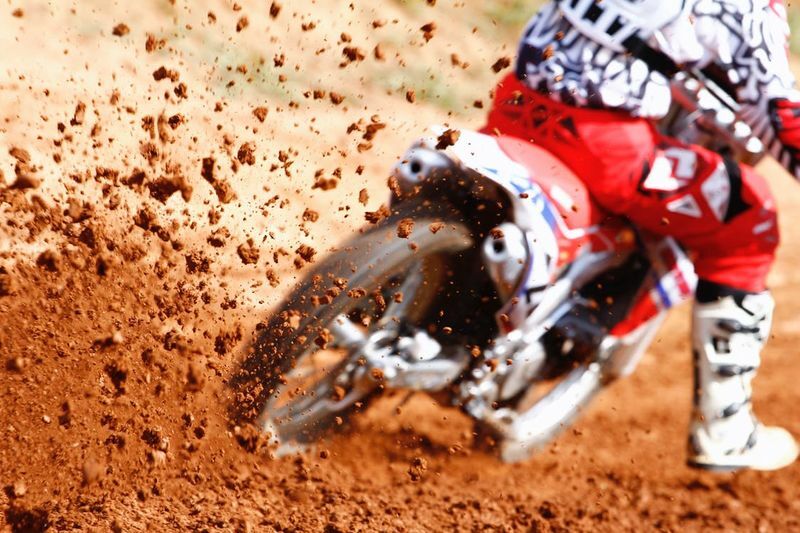 In the event of a crash, if you want to get the neck brace off in two pieces, so you don't cause any further injury to the riders head or neck. All you have to do is just undo this red screw and you can actually just pull the neck brace apart into two pieces. So I like that safety feature. With the thoracic strut, just like the 3.5 this is designed to break off when enough force is applied but the big story here that I like so much about this, and I've talked about this with the fitment earlier is they give you so much adjustability. The Leatt GPX 5.5 is by far the most adjustable neck brace that you're going to get. It actually uses two systems, you got your sure fit adjusters, so that's gonna be with a thoracic strut and the chest supports in the front. If you lift up this red tab in the front it'll actually allow you to slide these chest mounts back or forward and you have four different mounting positions in the front and you have six in the rear. So it's a total of 10 different mounting positions. Aside from that sure fit adjuster system on the back of the thoracic strut, you've actually got these little rubber pieces that you can interchange. These come included in the box. You have four different positions or angles that you can put with the thoracic strut from 0 up to 20 degrees to align with that Sure Fit adjustment system which moves it forward and back to adjust more or less the width of the neck brace. You can also adjust the angle of that thoracic strut. So overall really a large degree of adjustability. The Leatt 5.5 GPX neck brace comes in at 1.7 pounds, which is slightly heavier than the other options. But if you're liking the design of this and you like how much adjustable that you're getting but you do want to save some weight, you could bump up to the 6.5 which is the exact same neck brace but the chassis and the thoracic strut, and the chest mounts are all constructed from carbon fiber. Which is gonna save you some weight. That brace actually comes in at 1.4 pounds. You are going to bump up in price but if you want to save some weight you could go that route as well. So there you have it! That is our neck brace buyer's guide. Hopefully this has helped you out and given you a good starting point. Some of the best advice that I can give when it comes to shopping for neck braces is to make sure to ask your questions, whether it be right here, or on product pages, or to your friends. You'll get answers from customers that are using these exact neck braces. Now listen, I know with motocross and with motorcycle riding in general, a neck brace is a tricky subject. A lot of riders believe in them and think they do an awesome job and others not so much. 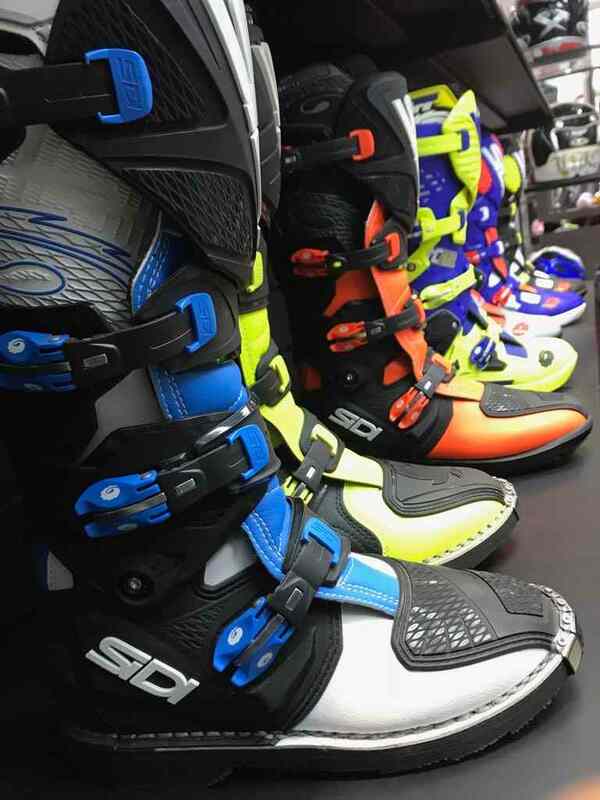 So I would love to hear your thoughts on these, so make sure leave your comments below tell us what you think about neck braces if you have one tell us all about it which one you have what you like about it maybe what you don't like about it that's gonna help other riders out there looking to pick one up.